Christmas is just around the corner and everyone could use some extra Christmas cash to help you out for the holidays! Enter to win! 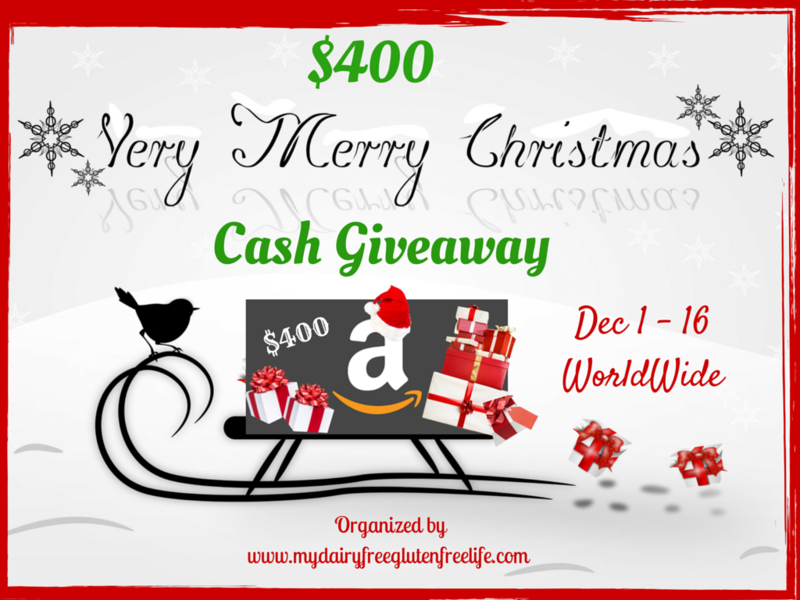 A great group of bloggers have joined together to wish our readers a very MERRY CHRISTMAS and bring you a $400 Cash Giveaway! It’s almost Very Merry Christmas Time! The time of year we give gifts and show extra love to our friends and family. We overlook the bad and think upon the good and most of us try to show kindness to those we do not even know. Mother Theresa says it best – “Kind words can be short and easy to speak, but their echoes are truly endless.” Let this time of year truly echo endless love and kindness throughout the year! Would be very thankful for a gift card or any other prize. Always glad to help family members out. Well I would buy my hubby a very special gift and my kids some special gifts too. For Christmas, I will be celebrating 3 times – with my small immediate family, my larger family, and the in-laws. Would love to win this giveaway to pay for some of the gifts for all of my family! We will be celebrating with family & friends! I can’t wait to see everyone. Going home to visit my parents for the first time in four years! For Christmas the whole family gets together….lots of fun! Going to church on Christmas Eve and then going to bed. I’m a baker, and this is prime time! My son & DILIT are coming (Yay!) from No. Calif. We will open presents on Christmas Eve and then Christmas morning Brunch at my house and then opening more presents with my SIL and her husband. Whew! We are going to my parent’s house for dinner. Going to my 90 yr. old mother’s home where we and my siblings will bring our best dishes for a special family meal. We talk about the true meaning of Christmas–Christ, of course. Then drive around and look at the lights one last time. Children from east coast will be here so it will be a big Family day. We are chillin’ at home for the holidays! What a great competition! I’m so sorry, I messed up and did one of my entries wrong – I put my comment for your blog in the one for MDFGFL. I hope that one just won’t count. I’m really sorry, the browser jumped on me! Going back to try to enter properly this time! The gift card would be a real blessing to pay for some nice gifts for my 4 (almost 5) grandchildren!